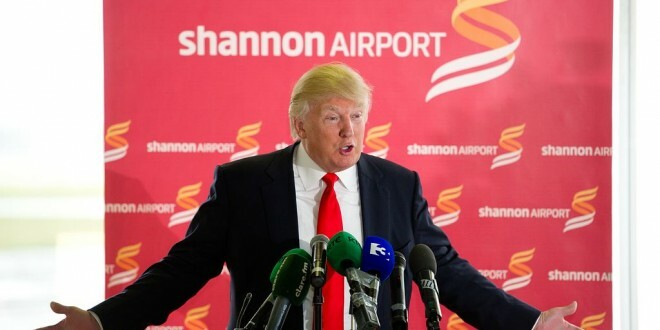 Flamboyant billionaire, Donald Trump, whose assets include Doonbeg Golf Club and Resort, has announced he will make a bid to become US president next year. At a rally at New York’s Trump Towers today (Tuesday) Mr Trump said, “I am officially running for president of the United States and we are going to make our country great again,” Seeking to secure the Republican nomination, he suggested his fortune would allow him to be an effective president. Wisconsin Governor, Scott Walker and former Florida governor, Jeb Bush, a son and brother of two former US presidents, have, up to now, been making waves as the leading Republicans in the field, as the primaries loom. Mr Trump has made a number of visits to Doonbeg since buying the golf club last year, the most recent just a week ago.